This Garrison quest triggers a Scenario. In our interview with the developers they mentioned a new technology that can do this seamlessly without a loading screen. Basically, as you accept this quest you don’t even notice you started a scenario event within your Garrison. The Scenario quest objectives appear on the right side of the screen as any other scenario. At first, I was lost on what the objectives were, and repeated the quest over 10 times without success. Watching and analyzing the video gave me an idea of what was really going on behind-the-scenes, and how to win. Goren will spawn often from at least three different spots on the outskirts of your Garrison and move toward the center of the Garrison fighting your guards until they reach their destination. The guards will be injured and you can see a pulsing-heart icon above their body. In the video I noticed that whenever an injured guard dies I lost +3 points. Whenever I clicked and healed a guard, I gained +1 point. In short, the most important thing in the scenario is to heal the injured guards. You don’t want to lose 3 points en mass. For example, 5 dead guards = 15 points lost. A bigger “Hungry Goren” will spawn either at the center of your Garrison by the Outhouse, or at your Alchemy Lab (or other building you had built), or all the way in the back by the garden eating the bridge, or one of the two buildings there. 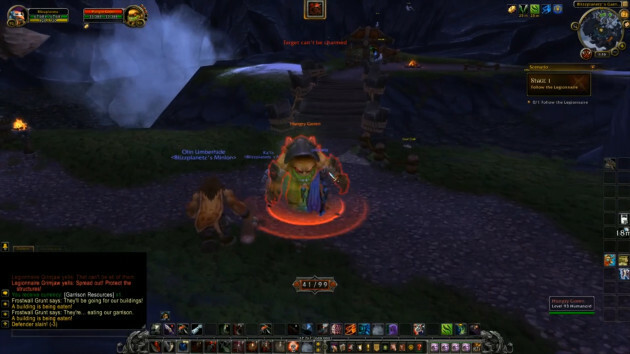 A message will appear onscreen that your Garrison is being eaten and you can see the icon in the mini-map and by pressing M to view the map. This Goren needs to be dealt with before it eats the building. When you kill one Goren, you gain +1 point. When you kill the bigger Goren that eats your building, you gain +2 points. If you do the math, your priority is: Heal Guards (to gain +1 and to prevent losing +3), kill the big Hungry Goren (gain +2), and kill the smaller Goren (gain +1) so your Garrison isn’t overwhelmed. 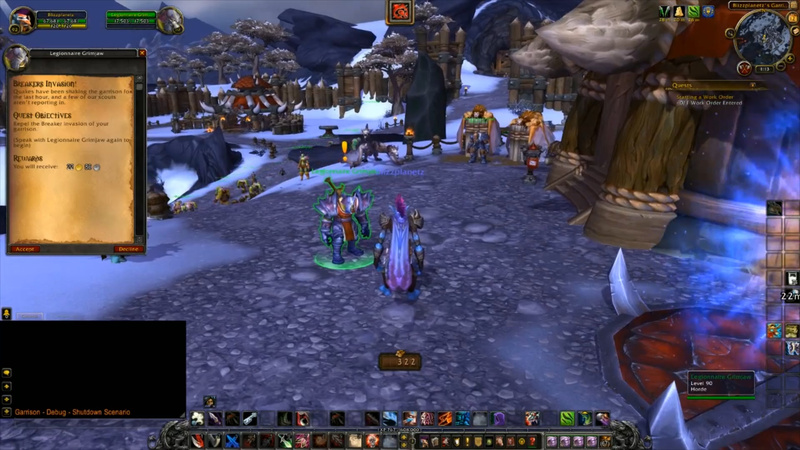 I do wish to warn you that before you watch the video you understand this is Warlords of Draenor Alpha. The event hasn’t been tweaked and it is definitely bugged. The event needs to reduce the pace in which the goren spawn so that you can manage to win solo without inviting friends to help. Additionally, the loud music you may have heard in some of my videos is another bug. When you win the scenario, that is the sound that plays. 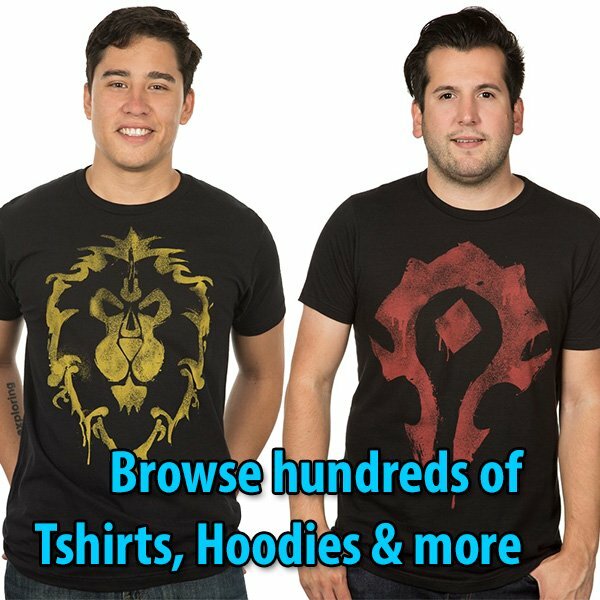 It is heard throughout all of Frostfire Ridge every few minutes. I got credit for winning when I wasn’t even on my Garrison. Thus, what you will see in this video is for educational purposes, but it is far from the final product. Legionnaire Grimjaw: Quakes have been shaking the garrison for the last hour, and a few of our scouts aren’t reporting in. Repel the Breaker invasion of your garrison. Legionnaire Grimjaw: Sir, we’ll assemble the troops at your command. Legionnaire Grimjaw: Do you feel that? Frostwall Scout: Legionnaire, A Gronn is marching toward our garrison. It’ll be here in minutes! Legionnaire Grimjaw: It’s a Breakers assault. Quick, get the peons to high ground! Legionnaire Grimjaw: Finally, a battle. Sir, an attack on our garrison looms close. Whoever these fools are, I welcome the chance to earn another scar. Legionnaire Grimjaw: That can’t be all of them. Spread out! Protect the structures! Frostwall Grunt: They’ll be going for our buildings! Frostwall Grunt: They’re… eating our garrison. Legionnaire Grimjaw: You did it! Return to the main hub for Frostfire Ridge (Horde Quests) in Warlords of Draenor, or continue below the Story Achievement: Foothold in a Savage Land.